Background - Pete is from a sporting background, participating in Surf Life Saving, Basketball, Squash, AFL, Rugby Union & Rugby League. 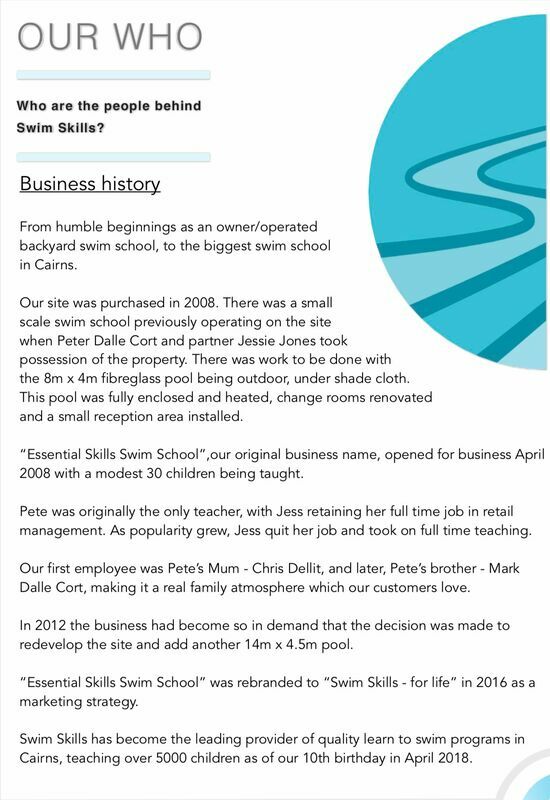 He was born into the learn to swim industry, with Pete’s Mum - Chris Dellit, and Dad - Joe Dalle Cort, starting a backyard swim school in Ayr - the year of Pete’s birth, 1980. Chris and Joe purchased a squash court in 1991 and established “Ayr Aquatic & Squash” It was here that Pete had his first job, managing the reception. ​Pete’s family moved to the Gold Coast in 1995 to establish “Robina Aquatic Centre”, a large commercial centre teaching over 1500 lessons per week. Pete took over the management in 2001 whilst studying at Griffith Uni. 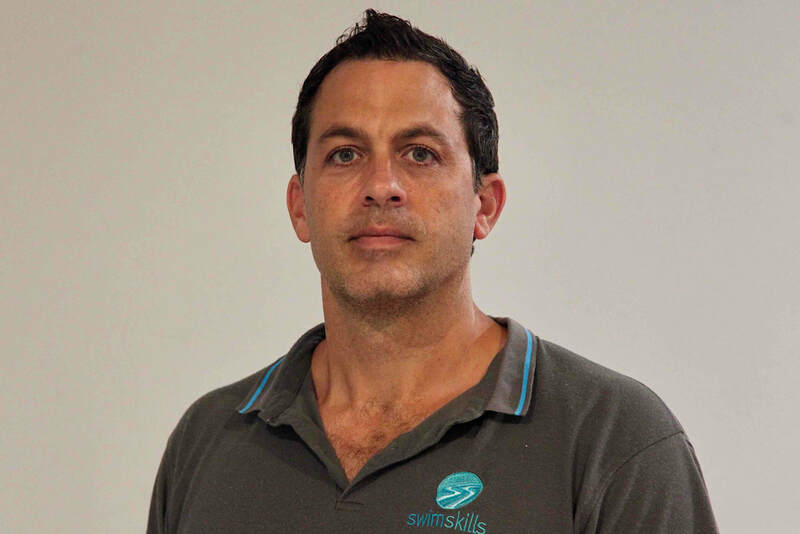 Pete's strength is in his teaching and he aims to provide the best learn to swim service at Swim Skills by mentoring and developing the abilities of staff to match his own high standard of service. Background - Jess is a North Queensland local, growing up in Malanda. Jess previously managed a Jewellery store and used her creative talents to design and manufacture handmade gemstone jewellery. 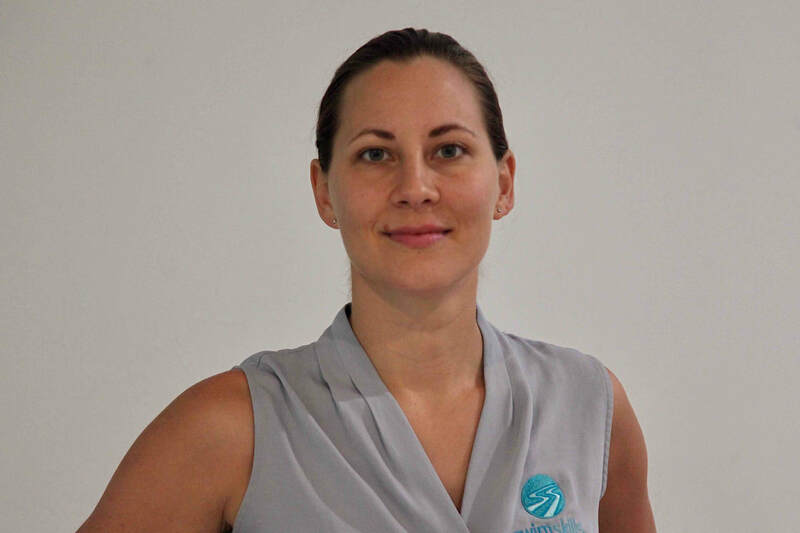 Her love of the NQ lifestyle motivated her to use her business prowess and managerial skills to establish “Essential Skills Swim School” in 2008. Jess became highly experienced in teaching swimming over the lifetime of the business. Jess’s great managerial and interpersonal skills are the backbone to the smooth operation of Swim Skills.